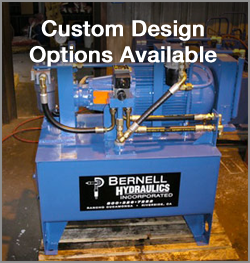 At Bernell Hydraulics, we know hydraulic systems and hydraulic components. We’ve been in business since 1977, and many of our sales staff and technicians have decades of experience under their belts. If you’re having a problem with your hydraulic cylinders, we can help you troubleshoot it and come up with a solution. For instance, if your cylinder seals are failing really frequently, the culprit could be the seals or the rod finish on the cylinder. We’ll help you figure out which part is to blame so you can address the problem and enjoy longer hydraulic cylinder life in the future. In some cases, the hydraulic parts you need may be out of production or otherwise hard to find. Luckily, we can machine custom parts for you. Just tell us your specs and our expert technicians will set about machining your custom hydraulic cylinders in Norco CA in our shop. As an extra bonus, we’ll install and test your new cylinders to make sure you’ll get good performance out of them.